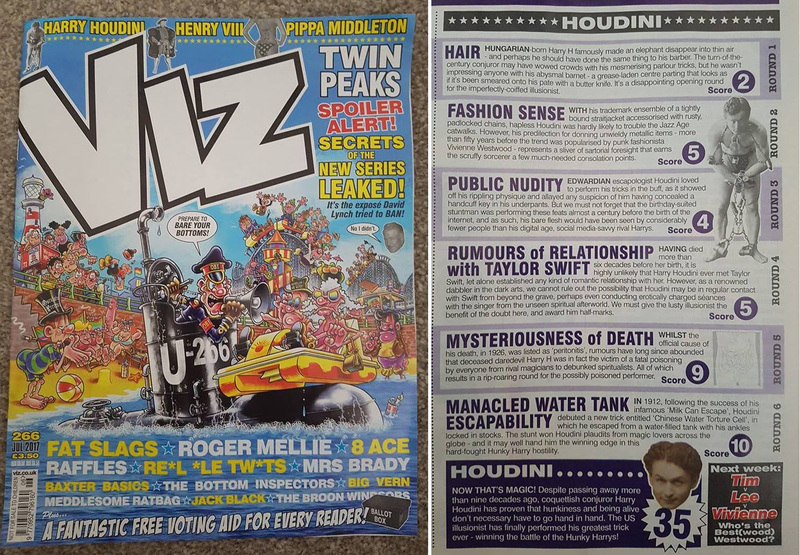 WILD ABOUT HARRY: VIZ names Houdini the "Hunkiest Harry"
Being dead 90 years has certainly not hurt Houdini's standing in pop culture. 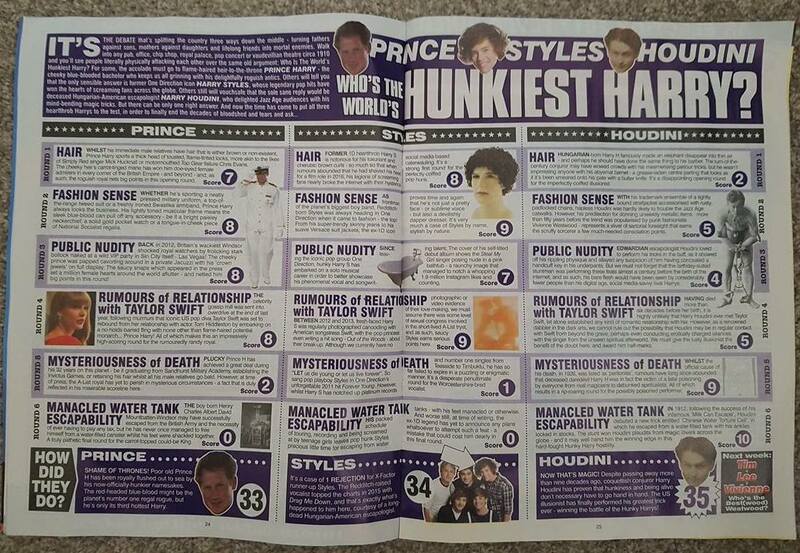 And now VIZ magazine in the UK has determined that Houdini is the "World's Hunkiest Harry." The Handcuff King beat out Prince Harry and pop star Harry Styles for the title. 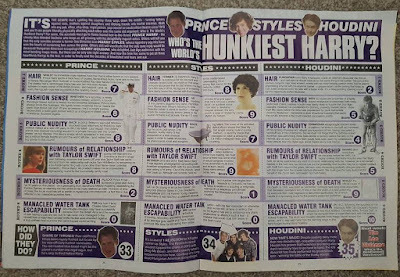 As you can see, while Houdini lost points in the "Hair" and "Rumors of a Relationship with Taylor Swift" categories (although the magazine did not entirely rule the latter out), he dominated the "Mysteriousness of Death" and "Manacled Water Tank Escapability" categories. That's science. Houdini's great victory can be found in the July 2017 (266) issue of VIZ. Thanks to Allan James Taylor.